Bi-Office Maya Gridded Magnetic Aluminium Framed_p 150x100cm by Bi-Office at Old Mill Middle North. MPN: MA1512170. Hurry! Limited time offer. Offer valid only while supplies last. Bi-Office has created the widest range of user friendly whiteboards that bring life into your meetings, lessons, conferences and training sessions. Bi-Office has created the widest range of user friendly whiteboards that bring life into your meetings, lessons, conferences and training sessions. 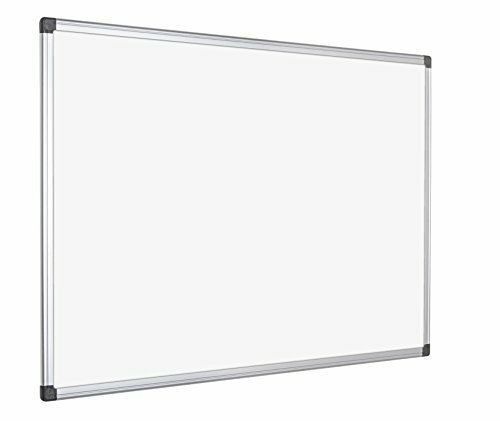 This large whiteboard is the writing solution for small auditoriums or large rooms. The dry wipe surface of these whiteboards is perfect to write, erase and re-write information. Supplied with pen tray and wall fixings.